The White Rose Artists are a group of artists living and working in Yorkshire. Their art takes on many genres, including oils, acrylics, watercolours, pencil, pastels, collage and digital art, from landscapes to evocative abstracts, animals and flowers and traditional and contemporary pieces. 'We exhibit every summer in Harrogate. 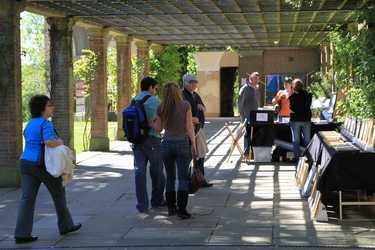 Every summer they come together for a series of "Art in the Gardens" exhibitions along The Colonnade in The Valley Gardens, in the beautiful historic spa town of Harrogate, North Yorkshire. Exhibitions have been running for over 40 years and have always been popular with locals and visitors alike. It's an opportunity to meet the artists and take in the beauty of the gardens. There is even a cafe to sit and drink in the atmosphere. 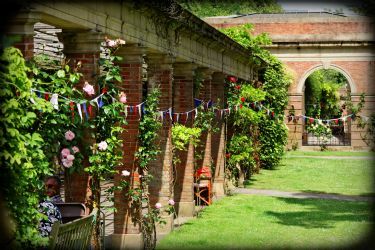 This site showcases the regular participants of the exhibitions, but there are often new and visiting artists, so keep checking the website and do come along to The Valley Gardens to see much more. Please browse the artist's galleries to see the kind of art they produce and to find out more about the artists themselves. I hope you enjoy your visit and find something to interest you.